Marking the 50th anniversary of the score to the classic film, Analogue Productions and Quality Record Pressings have created a truly remarkable pressing for an audiophile classic. 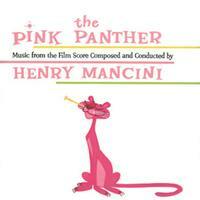 The soundtrack to the film "The Pink Panther." "Moon River" might be Henry Mancini's biggest hit, but it was Mancini's score for Blake Edwards's 1964 farce "The Pink Panther" that introduced his music to generations of children; the haunting, jazzy main theme was used in dozens of cartoon shorts that were broadcast on television for years. The Pink Panther Soundtrack features 12 songs. Now hear this classic on a 200-gram heavyweight QRP pressing, with superb mastering from the original analog tapes by Ryan K. Smith at Sterling Sound.